The Angler of the year is Ann Kerrin (Fermanagh) and she has accepted Captaincy for 2005. Moira Cosgrove (Clare) is announced President of the Ladies International Fly Fishing association. Election of Officers and Committee is as follows: Madeleine Kelly (Belfast) was again returned as Chairman, Susan Brown (Lisburn) has returned as Honorary Secretary, Ruth Mettler (Leitrim) is incoming Honorary Treasurer, Julie McGeever (Dublin) retains position of PRO. Also elected to committee, Sorcha Weld, Margaret Rooney, Moira Cosgrove, Glenda Powell, Julie Gerry and Ann Kerrin. Anne McWilliams, Sandra Moffitt, Julie Gerry, Maddy Kelly. Ann Kerrin, Julie McGeever, Maddy Kelly, Anne McWilliams, Julie Gerry, Moira Cosgrove, Mary Gunning, Betty Hayes, Edel Decies, Ruth Mettler, Margaret Rooney, Carol Neal, Mary Harkin, Susan Brown. A great night was had by all who attended the Draw and Dinner at the Fairhill Hotel Clonbur and unfortunately we couldn't all win. Mrs. Breege Burke drew the winning ticket for the Burke sponsored boat which went to Anthony Cartwright of Wales. There was a presentation to Mrs Burke from the committee of the Irish Ladies Flyfishing Association in appreciation of the support of herself and John Paddy during the year. Saturday October 9th the draw for John P. Burke boat will take place at the Fairhill Hotel in Clonbur Co. Galway. Anyone who would like to join us there Dinner 6.30 to 8pm. can be booked and cost approximately 30 euro. In any case all tickets must be returned before the night. 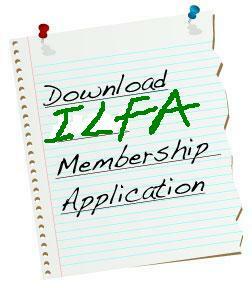 Thanks to all who have bought or sold tickets, your support for the ILFA is most appreciated. The Fourth Trial was held on Lough Mask on the 25th as Catch and Release. Julie McGeever was first with 2 fish for 73 cm. and 30 points. Second Betty Hayes 2 fish for 69 cm 29 points. Third: Moira Cosgrove 1 fish for 39 cm. 28 points. Edel Decies 1 fish for 32.5 cm 27 points. Margaret Rooney 1 fish for 32 cm 26 points. Click here to read about the Ladies Day salmon fishing on the Moy or visit our photos page to see photos taken on the day. Well done Julie and congratulations from all the ladies in ILFA. Last Trial for 2005 team coming up on Saturday next on Lough Mask, See you all there ladies. ILFA Gala Dinner is proposed for the Autumn to coincide with boat draw on 9th October at Fairhill Hotel, Clonbur, Co. Galway. Julie Gerry winner of the World Cup on Lough Mask and Anne McWilliams 9th. Congratulations ladies from the Association. Congratulations to all our team for taking second place in the 2004 International Match on Lough Menteith on the 17th Juneand well done to Scotland on home waters who won with 48 fish followed by Ireland with 42 fish England were third and Wales fourth. Anne McWilliams Co. Cork with 8 fish for 24.06lbs. Sandra Moffitt Co. Armagh with5 fish for 19.11lbs. Julie Gerry Co. Kildare with 6 fish for 17lb.3lbs. Madeleine Kelly Co. Antrim with 5 fish for 12.14lbs. Further details when they come to hand. We wishthe team tight lines during the practice days and especially on the Match day Thursday17th on Lough Menteith Scotland. 3rd Trial: May 29th on Lough Maskout of Cushlough 16 ladies competed and it was won by Anne McWilliams with 3 fish. Although conditions were good the catch was low with 5 anglers weighing in fish: Carol Neal, Mary Gunning, Ann Kerrin and Mary Harkin. Julie Gerry winning with 2 fish weighing 1lb. 14.6ozs. Ruth Mettler was 2nd with 1 fish weighing 1lb. 8.4oz. Ann Kerrin was 3rd with 1 fish weighing 1lb. 7.2 ozs. Susan Brown was 4th with 1 fish weighing 1lb. 1.2 ozs. 1st Trial: April 3rd on Lough Corrib out of Greenfields Headford Co. Galway. 16 competed under very difficult conditions Madeleine Kelly was the winner with 3 trout weighing 1.635Kg. Ann Kerrin 2nd with 1 fish weighing 0.641. 4th Trial: September 11th on Lough Mask, Co. Mayo. The first team session will be on this weekend at Maynooth Fishery Co. Kildare Call Julie G. at 01-6293202. 5 Euro per member per day. The second team session will be on 2nd May venue to be arranged. Thanks to the hard working members who attended the Ireland Angling 2004 Show at Cloghran, Swords, Co. Dublin on the 21st and 22nd February. It was a very successful fundraising weekend. And ladies who were unable to attend there are lots of tickets still to be sold contact any committee member. A number of Members attended the ILFA stand at Bangor Co. Down on the 7th and 8th February where tickets for our boat draw went on sale. This boat has been sponsored by John P Burke of Burke Boats, Ballinrobe. It is a wonderful prize and it's open to anyone (you don't have to be a member) to buy tickets and get your name into the hat. 3 Euro each/15 euro will buy 6 tickets. Sterling equivalent in N.I. M. Cosgrove, Corswood, Ballyalla, Ennis, Co. Clare. AGM 18th January 2004 Bloomfield House Hotel Mullingar. Chairman: Maddy Kelly. Hon. Treasurer: Ann Kerrin. Hon Sec. Jean Johnson. PRO. Julie McGeever. From the 1st December Madeleine Kelly will be the new representative on the Board of Recreation Angling Ireland. Moira Cosgrove who has represented the ILFA Association on the Board for the past two and a half years is now standing down. Moira Cosgrove RAI representing ILFA and Peter Wilson Chairman RAI attended the Seminar on the Water Framework Directive sponsored by the Heritage Council at the Hodson Bay Hotel Athlone on the 18th October. This Directive is to be passed into Irish Law in 2004. Two youth training days have been organised by RAI. Details can be obtained from Lorraine O'Donnell of the Shannon Fishery Board who is co-ordinating both days at Rathbeggan Kildare and Nun's Island Galway. Recreational Angling Ireland "RAI" has been set up with the encouragement of the Minister of the Marine, The Irish Sports Council and the Central Fishery Board and aims to represent all disciplines of recreational angling. The initial Directors elected were Peter Wilson and Moira Cosgrove. Irish National Casting Association, Representative: Brendan Begley and David Browne Representative: RAI Youth Project was co-opted as the seventh Director. Ian Rowand is the Secretary/Treasurer. The Irish Ladies FA were ably represented by a number of the Committee at The Fishing and Boat Show recently held at the Sports Arena University of Limerick. The ILFA stand was well attended, new members recruited and a fundraising raffle was held. A special thanks to Pat Burns, John Dever and all our sponsors during 2003. Maurice Griffin of Ennis won the Voucher presented by Healy's Restaurant and Country House Hotel of Pontoon, Co Mayo. 2nd was Rory Finnegan of Galway who won the Teddy Bear and 3rd was Maddy Kelly of Belfast. 4th Trial:October 2nd Clooney Loughs, Co Kerry. 3rd Trial: September 14th Ballinlough Co. Mayo. The ILFA had a stand at the Ballywalter Game and Country Fair N.I. A special thanks to the organisers of the show and to the ILFA ladies who assisted, especially Maddy Kelly, Susan Brown and Jean Johnston who worked very hard on behalf of the association. International Match took place at Bewl Water, Kent, England and it was an excellent venue enjoyed by all. Congratulations to England for a very good return on the day, Wales were 2nd with 5 fish, Scotland and Ireland came third with two fish each. All to play for again next year on Lake Monteith, Scotland. Trojan Horse Race Nite at Enniskillen was great craic and some very welcome funds are now in place for the management of the association and for the team to travel to England in June. Many thanks are due to all who assisted in the running of the event especially the ladies who travelled long distances to be there. The ILFA had a stand at the Ireland Angling 2003 Show at Cloghran, Swords, Dublin. A fundraising draw was well supported and the winner of the Framed flies donated by Brendan Begley was Peter Campbell and the Salmon Plate donated by Moira Cosgrove was won by George McCullogh. Moira Cosgrove, Madeleine Kelly, Sorcha Weld and Ruth Mettler completes the committee. The winner was Ann Kerrin with 2 fish. 2nd. Anne McWilliams 2 fish. 3rd Susan Brown 2 fish. 4th Sorcha Weld 1 fish and 5th Moira Cosgrove 1 fish. 4th August, Lough Mask 2002. The winner Mary Gunning, with Julie McGeever second and Julie Gerry third. All three qualified for the World Cup final on Monday. Julie Gerry won the Ladies Prize overall. An outing sponsored by the Irish Ladies Flyfishing Association was held at The Rathbeggan Fishery on the 13th July for ladies who wished to try their hand at fly fishing. Casting instructors John Rowan, Sue Parker, Derek McConville, and Andrew Ryan all of whom provided every assistance to beginners and the more experienced and not forgetting Susan, Ann, Julie G. Julie McG. and myself Moira who brought along rods reels lines and flies and great advice. 19th to 24th May 2002. Our team travelled to Llyn Trawsfynydd Wales for the annual International Match. Congratulations to Maddy Kelly who was top rod for Ireland with 4 fish and winning the Children of Lir Trophy for the third time.2nd: Mary Harkin, 3rd: Muriel Scorer,4th: Moira Cosgrove. An outing was held for all members on Lough Carra, Co. Mayo BBQ. at Brownstown at 2.30pm. and rendering of "the Ghillie" By Julie McGeever. Thanks Julie. Thank you Madeleine for organising this event so well and so generously. Our team practice was held on Clogher Lough, N.E. of Westport. 12.00 to 5.30, pm. We had two instructors Brendan Begley and Noel Lowery. Our sincere thanks to the NWRFB for sponsoring our fishing on and boats on the day. 2nd trial for 2003 team was held on Lough Corrib out of Greenfields. The winner was Ann Kerrin with 2 fish Well done Ann. 2nd: Moira Cosgrove. 3rd: Mary Gunning. 4th: Bridget Monaghan. Winner Julie Gerry with 3 fish. Snow and sleet at Coolyermer team training session with Dave Dowry and Noel Lowry. Our visit to Aras An Uachtarain was the highlight of our year. It was a great success everybody who made the trip was delighted with the very generous welcome accorded to us by President Mary McAleese and her staff. Members of the The Irish Ladies Flyfishing Association with President Mary McAleese. Click on the image to enlarge. To see more photos taken during the visit, click here. Thanks ladies for attending our out of season trip. Many photographs were taken and will be treasured for many years. Thank you, President McAleese. The AGM of the Association was held on the 11th November at the Greville Arms Hotel Mullingar Co. Westmeath. Margaret Rooney gave us some insights on video from her camcorder with views taken from every angle during the International. A laptop and overhead projector provided us with information on our website set up since the last AGM. The Captain and Team for 2002 was announced. Killarney's Lough Lein Co. Kerry was the venue for the third trial of the season on October 6th. Past and present Irish President's of the International Ladies Fly Fishing Association: Kate Lennon, Betty Hayes, Mary Harkin. Past and present Chairperson's of ILFA: Madeleine Kelly, Moira Cosgrove. The Press Launchof the 2001 Team at The Gateway Hotel Oughterard was attended by Mary Harkin President of the LIFFA, Moira Cosgrove Chairman of ILFA and members of the committee and team. Lal Faherty, Chairman of the Western Regional Fisheries Board. Greg Forde, Assistant CEO, WRFB. and Paddy Tierney, Chairman Oughterard Anglers and Boatmen's Association were present. Photos of the event. This competition was "Catch and Release" and won by Julie Gerry. sponsors were: John Rowan of Comber Angling. Rathbeggan. Shakespear. All fish were returned unharmed to the water. Congratulations Julie and all those who took part. Barbeque on the 17th June on Inchagoill Island, Lough Corrib.